Saturday’s Snow update: The roads to Castle Howard are open, but please drive with care. The House & Gardens, Stable Courtyard Shops, Farm Shop, Café and Garden Centre are open for business as usual from 10am daily, and ‘Audiences with Father Christmas’ will go ahead as scheduled this weekend. The snow covered gardens look stunning – so please wrap up, enjoy the views and have fun! 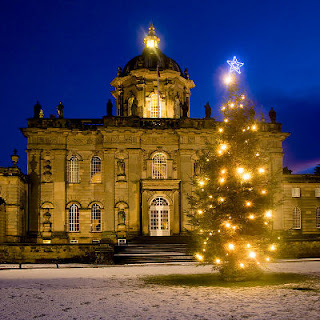 Updated 4.00pm on 03/12/2010.Check the Castle Howard website for daily updates here. Hurrah! All those lovely decorations and planned events no longer postponed! Unless we live in a tropical climate, we expect snow in December, but I reckon the current situation in Europe is more than anyone expected. 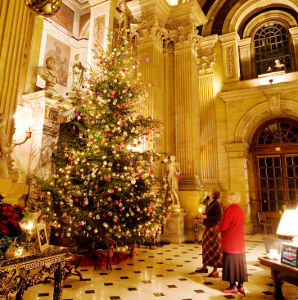 If you are anywhere near Yorkshire, check the website and plan a Christmas visit to the Castle. 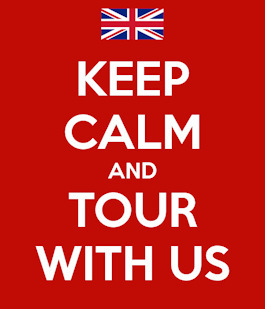 Many events are planned, some already sold out. 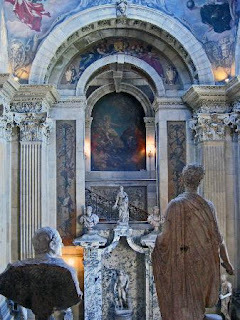 Castle Howard is the spectacular estate belonging to the Howard family, Earls of Carlisle, built in the early 18th century in the baroque style by Sir John Vanbrugh and Nicholas Hawksmoor. 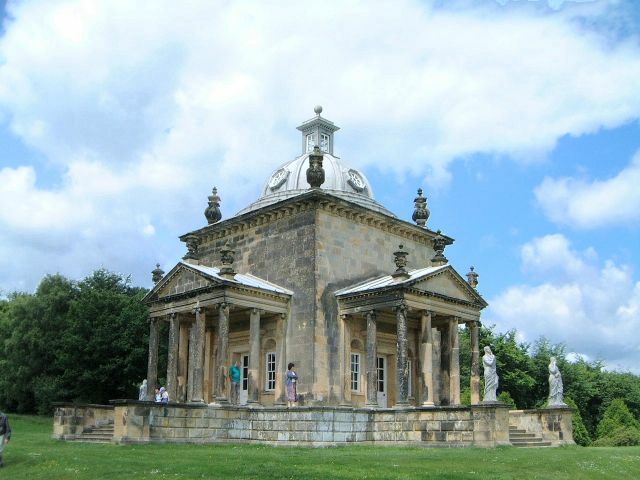 The building of Castle Howard is the story of unique friendships. Under history in the website above you can learn about the trio of Charles Howard, 3rd Earl of Carlisle (c.1669-1738), John Vanbrugh (1664-1726) and Nicolas Hawksmoor (1661-1736), who cooperated to build this remarkable house. 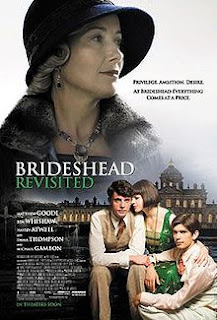 You may be familiar with it as the setting of the television series Brideshead Revisited. 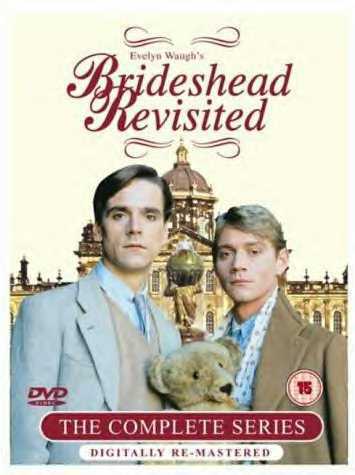 Both the 1981 eleven-episode version starring Anthony Andrews and Jeremy Irons and the 2008 film of the same name (if you are interested, definitely choose the former). 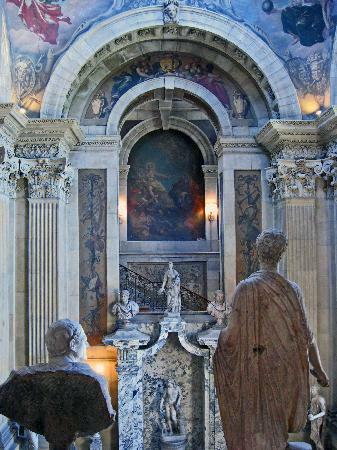 Castle Howard also served as one of the settings for The Buccaneers, a five-episode miniseries in 1995 of Edith Wharton’s last unfinished novel about American heiresses looking for English titles. More film appearances are detailed on the website. 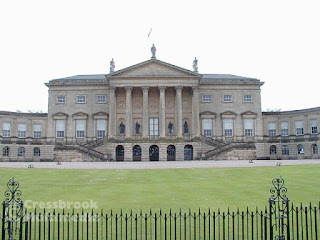 Castle Howard replaced the nearby Henderskelfe Castle, the ancient Yorkshire seat of the Dacre family from which the Howards are descended. 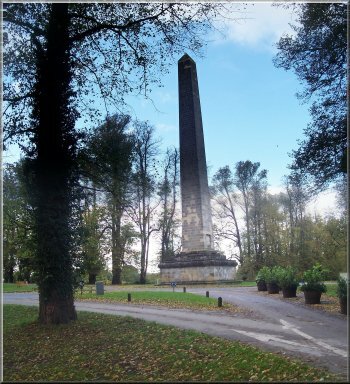 This castle was destroyed by fire in 1693; today a large obelisk marks its former location. The third Earl at the end of the 17th century, decided to bult a great house, and first chose William Talman (1650-1719), the architect who was redoing Chatsworth for the Duke of Devonshire. But they didn’t get along. 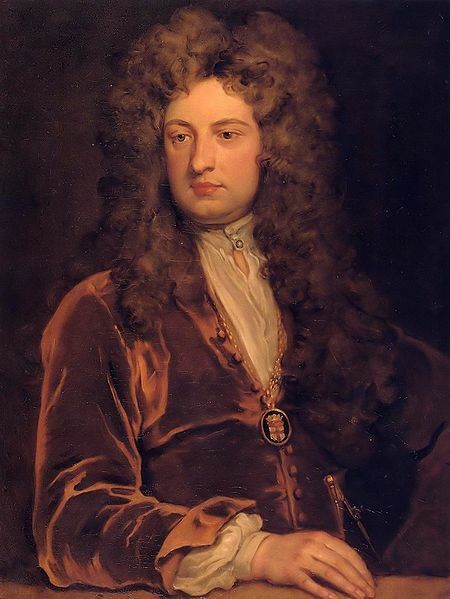 The Earl turned to John Vanbrugh (1664-1726), a multitalented fellow, a former soldier, whose very first play was a success. 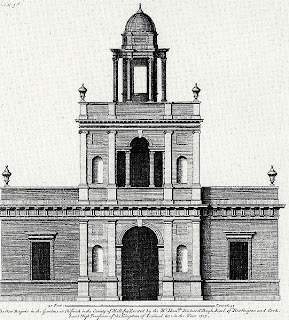 He was an amateur architect, more familiar with theatrical design, but he was able to work closely with Nicholas Hawksmoor (c.1661-1736), a professional who was an assistant to Wren and, alone, the architect of several noteworthy buildings. The partnership worked so well it was continued in the building of Blenheim. 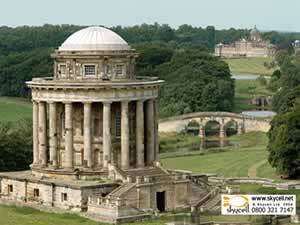 Castle Howard spreads out under a lanterned dome, perhaps inspired by the recent erection of Wren’s St. Paul’s. 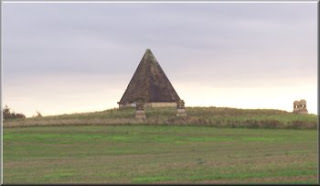 The dome was not part of the architect’s original drawings. 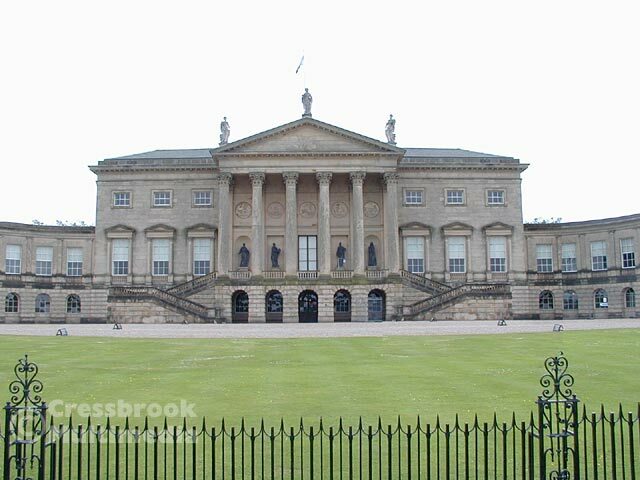 Work on the house continued until Vanbrugh’s death in 1726. 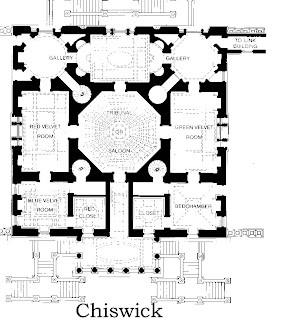 The planned west wing was not built until the 1750’s and then to plans altered by architect William Kent. ﻿﻿﻿﻿ Frederick Howard, 5th Earl of Carlisle (1748-1825) went on the Grand Tour with Charles James Fox, then held a number of royal appointments. At 30, he became the Chief Commissioner to North America on the eve of the Revolution, and later was Lord Lieutenant of Ireland. He acquired many fine Italian paintings now in the house. 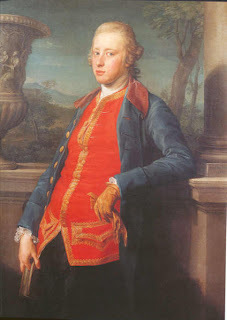 His son, George Howard, 6th Earl of Carlisle (1773-1848), married Georgiana Cavendish, daughter of the 5th Duke and Georgiana, Duchess of Devonshire. 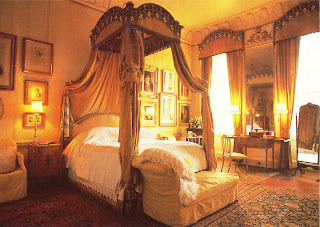 Lady Georgiana’s bedroom has been preserved as it was at her death in 1858 with its 18th century furniture intact. 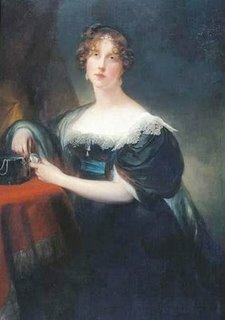 Despite her fragile beauty, Lady Georgiana bore the 6th Earl a dozen children, 6 boys and 6 girls. 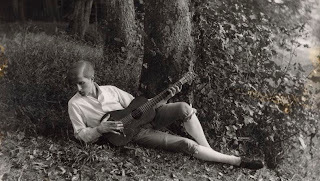 Upon the death of the 9th Earl of Carlisle in 1911, the family estates were divided. 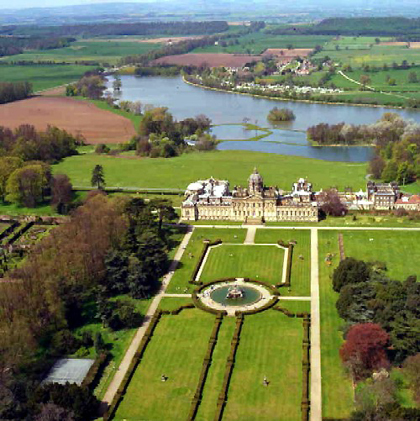 The 10th Earl inherited Naworth Castle, Cumbria, and Castle Howard went to Hon. Geoffrey William Algernon Howard (1877-1935). 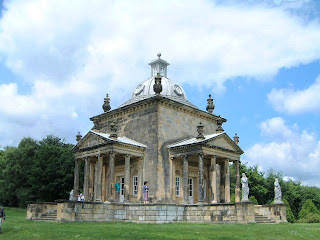 His grandsons are now the trustees of the corporation that owns and operates Castle Howard. It’s worth noting that the Howards are the only great Catholic medieval family to survive to present day. During World War II, the house was used as a girl’s school. During the school’s tenure, a fire destroyed the south wing and the central great hall and dome. 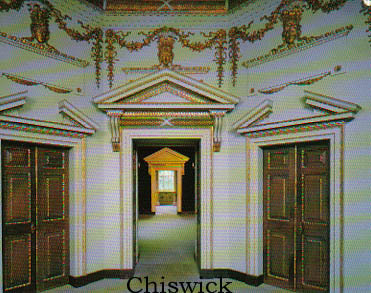 The dome and Great Hall were restored but the interiors of one wing of the house are empty. 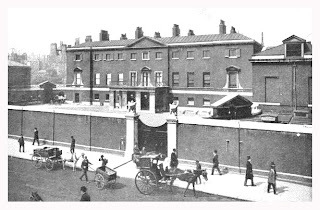 These rooms, stripped to their unadorned brick walls, once held the major State Rooms, now all gone. In other areas of the house, many fine rooms are open to the visitor. 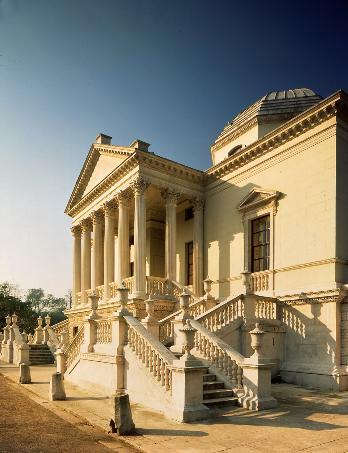 The park and the buildings scattered around the grounds, the Temple of the Four Winds by Vanbrugh and the Mausoleum by Hawksmoor, and the handsome bridge are as admired as the house itself. We hope that the snow does not cause anyone to miss Christmas Dinner at Castle Howard. But one thing is sure — next spring the daffodils will bloom again in Yorkshire. 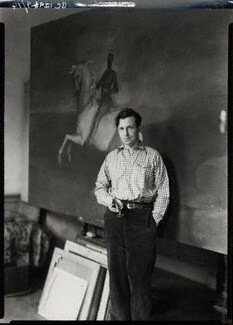 First, know that English artist Rex Whistler (1905-1944) was no relation at all to American artist James Abbott McNeill Whistler (1834–1903), however amusing it would be to link their work. 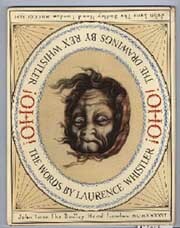 Rex Whistler was born in Kent and showed enormous talent while still in his teens. However, he did not do well in school, nor at the Royal Academy where he was expelled. 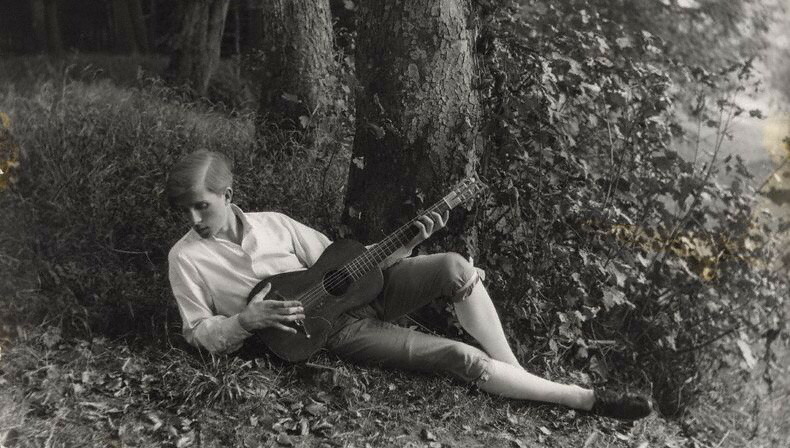 More successful was his stay at the Slade School of Art where he made friends with the Honourable Stephen Tennant, and later with Tennant’s friend poet Siegfried Sassoon. 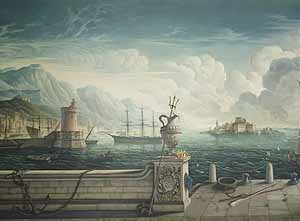 While still at Slade, at age 22, he was hired to paint a mural in the basement cafe of the Tate Gallery. He worked with novelist Edith Olivier (1872–1948) on illustrating the story of seven people who search for exotic fare: Expedition in Search of Rare Meats. 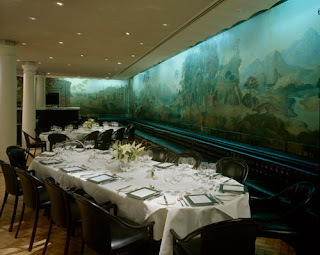 The mural still decorates the restaurant in the Tate Britain, where we have occasionally dined. Once I saw John Malkovich also enjoying the excellent food and renowned wine list. Here is a link to the restaurant. Between the world wars, Rex Whistler knew, socialized and painted many of London’s social elite, sometimes known as the “Bright Young Things”. 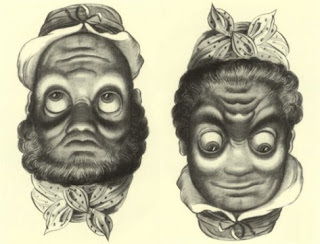 One of the things he is often remembered for, perhaps at the expense of his other achievements, is the set of reversible faces he drew, later incorporated into a book written by his brother and published in 1947. Rex Whistler, one of the “Bright Young Things” who often stayed at Plas Newyyd designed a fanstasy mural for the mansion’s dining room. While he was cavorting with this set, he fell in love with Lady Caroline Paget, whom he painted many times. 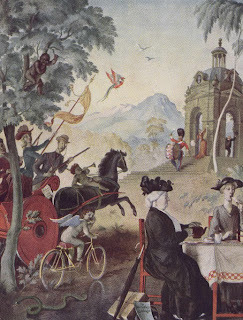 Whistler painted himself into the mural. ﻿﻿﻿﻿﻿﻿When war broke out, Rex Whistler joined the Welsh Guards as an officer. He was killed in Normandy in 1944. 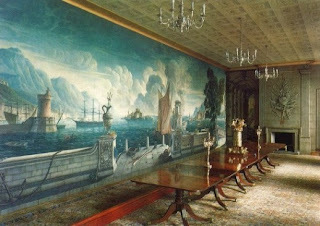 Among Whistler’s other projects is a room in Montisfort Abbey, in Hampshire, a trompe d’oeil that has enchanted viewers ever since. 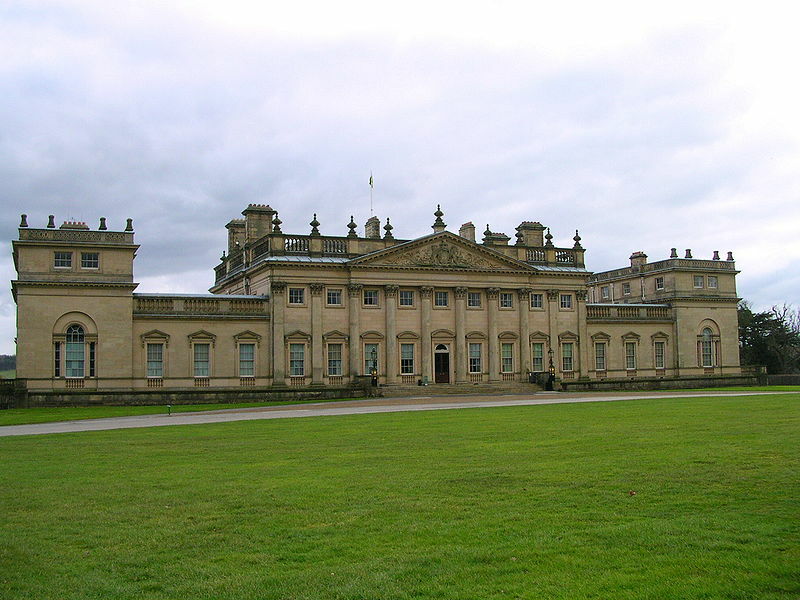 The Duke and Duchess of Devonshire and the Trustees of the Chatsworth Settlement have instructed Sotheby’s to hold an auction of treasures gathered from the attics and stores at Chatsworth. The sale comprises 20,000 objects in well over 1,000 lots which will be on view in a series of marquees in the grounds of the house from October 1st. 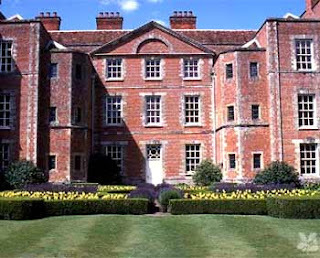 The house and grounds will be open to the public as usual during the period of the sale and view. Coming from the great houses of Chatsworth, Chiswick House, Bolton Abbey, Compton Place, Devonshire House, Hardwick Hall, Holker Hall and Lismore Castle, the sale includes works from almost every conceivable area: Architectural fittings, Books, Carriages and Cars, Ceramics and Glass, Collectables, Continental Furniture, English Furniture, European Sculpture, Garden Statuary, Natural History, Jewellery, Old Master and British Pictures, Oriental Works of Art, Silver and Plate, Objects of Vertu, Prints, Rugs and Carpets, Textiles, Tapestries and Wine. 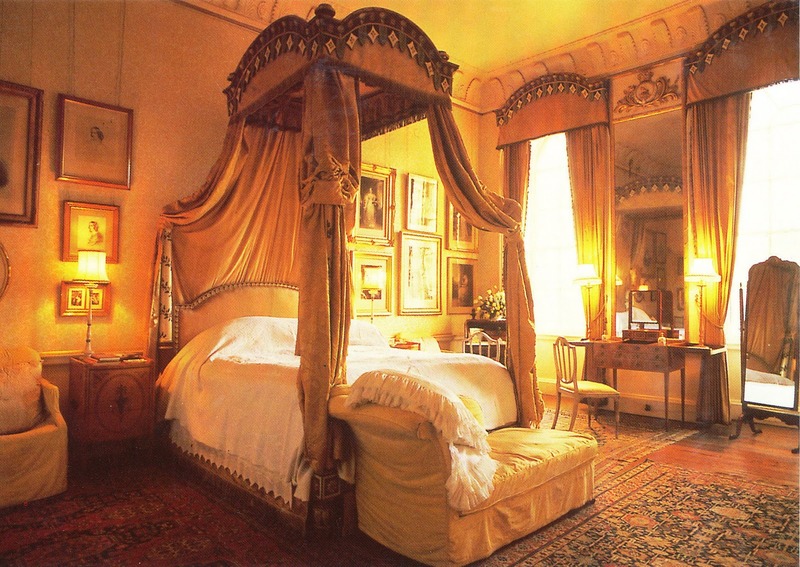 Like the recent Spencer House Attic Sale at Christie’s, the Devonshire sale includes carriages, textiles, silver, jewelry, furniture and architectural items. Unlike the Spencer sale, it also includes a snuff box painted with a miniature of Gerogiana, Duchess of Devonshire, estimated to sell for 400 – 600 pounds. As the Duke explained to the Financial Times recently: “When we came here, we looked at every space we had in the building and that confirmed what we really already knew, that the storage space we had was not fit for purpose and that there was just not enough of it,” explains the Duke. 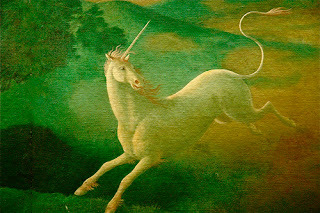 The solution is the “attic sale”, which has taken the best part of a year and a half to plan with Sotheby’s. During the clear out of items and selection of pieces for the sale, crates in a stable yard building on the Chatsworth property were found to contain architectural elements removed from Devonshire House in London, above, designed by William Kent in 1730. Gathering dust for more than a century, the crates held chimneypieces and other items, including pieces that, when fitted together recently by experts, formed almost the complete library as it had stood before the house was demolished. You can see the full press release here. 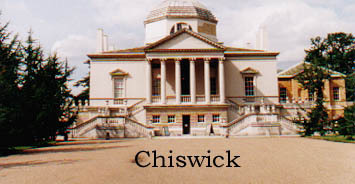 Chiswick House is one of the most influential buildings in the history of British architecture. 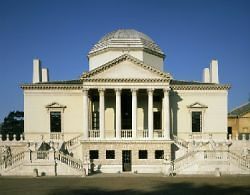 It re-introduced the Palladian style of neo-classicism and had a lasting effect on the future of buildings in Europe and the Americas. 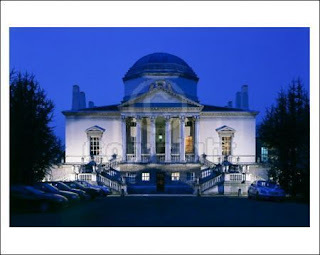 To reiterate just a little from the previous post on Chiswick, the youthful Richard Boyle, Lord Burlington (1694-1753), together with a group of powerful and/or brilliant gentlemen and artists, created a magnificent villa based on the ideas and structures of Andrea Palladio (1508-1580), an Italian Renaissance architect. 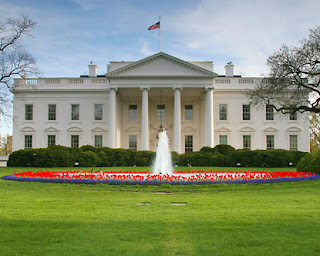 The beauty of the house is in its symmetry, its proportions. Geometric shapes, circles, squares, octagons, all combine to create perfect balance. Based on the principles of ancient Greek architecture as reinterpreted by the Romans and Renaissance Italians, it is a pleasingly human scale which brings comfort and satisfaction in merely looking at the plans. 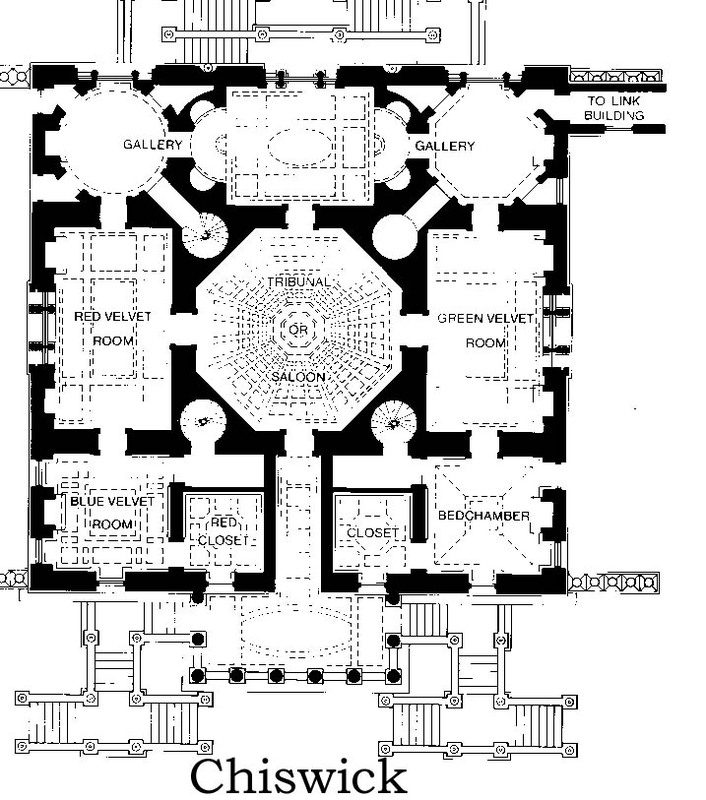 Each room flows from the central saloon under the shallow dome, one into another without barriers. The cornices and wall or ceiling paintings are the main decoration. 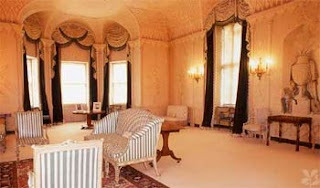 Furniture was minimal and rearranged for specific purposes, as was usual in the days of many servants. Some rooms were used by Lord Burlington as a gallery for his collection of paintings. The villa was constructed in 1727-29 to provide offices, galleries and areas for entertaining attached to another, older house. 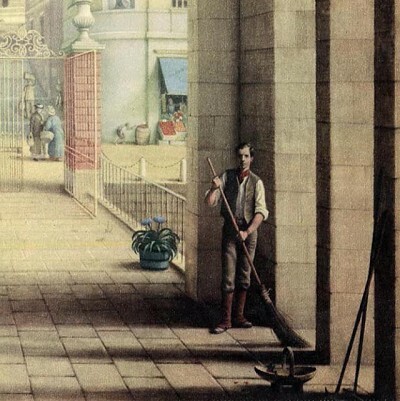 Burlington himself took credit for the architecture though he was ably assisted by others, particularly the painter William Kent who evolved into a major influence on architectural design in buildings, interiors and in gardens. The lower, ground level held offices and the library. 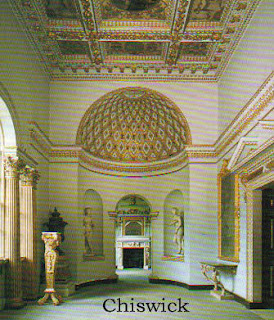 The Piano Nobile, the main floor, reached from outside stairways via a Corinthian portico, was designed almost exclusively for social gatherings. The gardens were recently redesigned and refurbished with nearly ten million pounds from the Heritage Lottery Fund. About 1,600 trees were planted and a cafe added for the convenience of visitors. 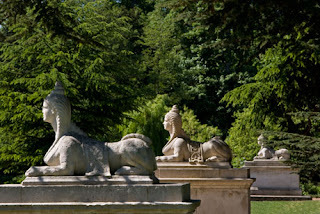 The gardens, originally designed by William Kent, were widely admired and visited by Europeans and Americans as well as admiring British gentleman. Thomas Jefferson was one of the visitors who confessed he preferred a more natural design for his own gardens. Kent’s gardens, with their classical symmetry and use of water features and obelisks and temples as focal points for the layout, began the English Landscape Garden style which fully flowered in the work of designers such as Lancelot “Capability” Brown and Humphrey Repton. The influence of the Palladian style, growing out of the work of Inigo Jones, then Burlington and Kent, Campbell and many others, was ascendent in the 18th century. Here is a brief gallery of some examples of neo-classic houses as they were built or remodeled between 1740 and 1800. The White House, Washington, D. C.
It is not hard to see the similarity to styles developed for government buildings and “colonial” homes in the U.S. The influence of classical forms of architecture of the 18th century grew not only from the beauty and functionalism of the designs. 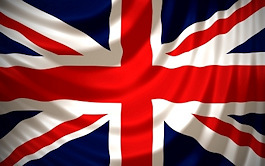 It also reflected the intellectual interests of the time, ideas of democracy, stable government, and the enlightenment. 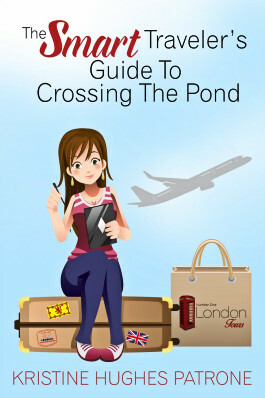 Victoria here, taking you today to the London suburbs to see a benchmark in the evolution of English architecture. 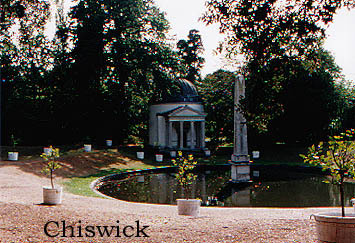 Chiswick House was built by Richard Boyle, 3rd Earl of Burlington (1694-1753) in the second quarter of the 18th century. Not only is it a lovely jewel-box of a structure, it had a widespread and lasting influence on subsequent buildings in Britain. 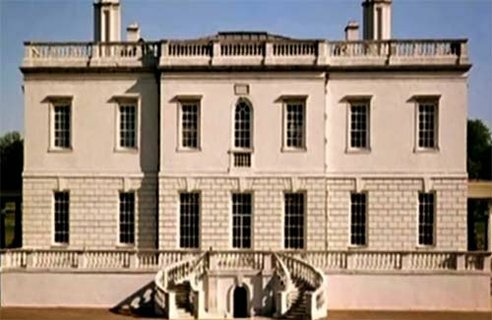 First we must step back a century or so to Inigo Jones (1573–1652), architect of the Queen’s House, Greenwich (left), the Banqueting House in Whithall (below), and many other neo-classical buildings in London and the countryside. 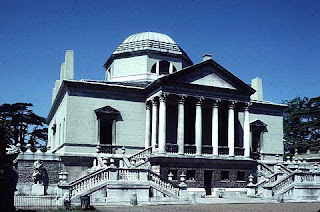 The neo-classical style, however, temporarily was overtaken in most building projects by baroque influences such as the styles of Sir Christopher Wren, John Vanbrugh, and Nicolas Hawksmoor. However, the style would return and dominate British architecture in the late 18th century and onwards, largely due to the influence of a young nobleman. Richard Boyle, 3rd Earl of Burlington, 4th Earl of Cork and Baron Clifford (1694–1753), inherited a great deal of money and property upon the death of his father, Charles Boyle, in 1704. 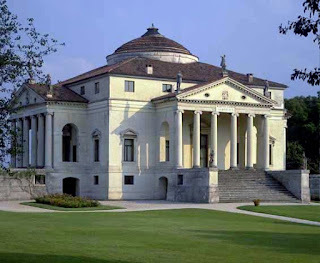 A few years later, young Richard made several Grand Tours of Europe during which he became especially interested in the designs of Italian Renaissance architect Andrea Palladio (1508–1580). Lord Burlington also met William Kent (1685–1748), a painter born in England, who also took up architectural, furniture, and garden design. 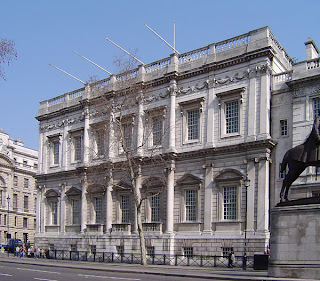 When he returned from Italy, Burlington set about building Burlington House in Piccadilly in London. 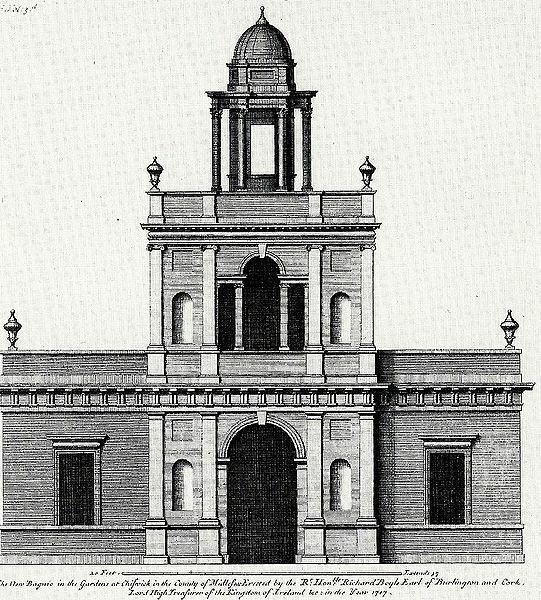 At right, the elevations by architect Colen Campbell, of 1725. 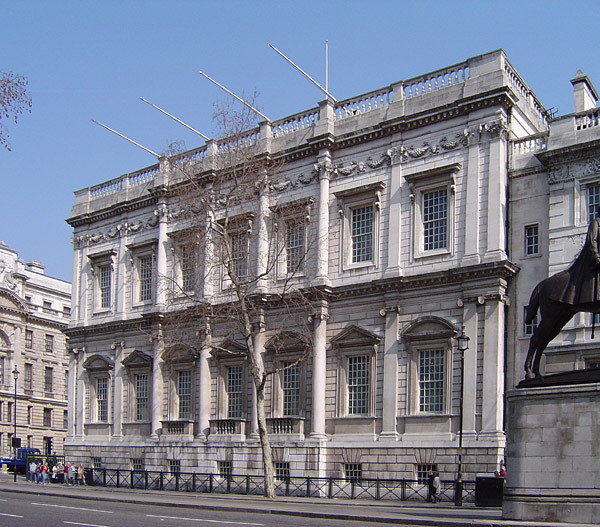 Today’s Burlington House, the home of the Royal Academy of Art, looks quite different, having been greatly modified in the 19th century, though some of the original work can be seen, particularly in the John Madejski Fine Rooms inside. Lord Burlington was an eager amateur architect, meaning no disrespect, in the same way the aristocrats of his time encouraged and participated in music, the arts, and sciences. One of his first projects, now demolished, was the Bagnio or Casino in the gardens of Chiswick, left. 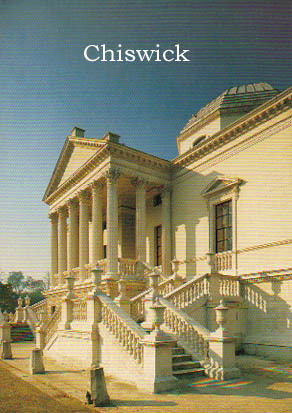 He designed and built it with Colen Campbell in between his trips to Italy, where he studied the buildings of Palladio. It had several rooms, but was in the nature of a garden folly or decoration. 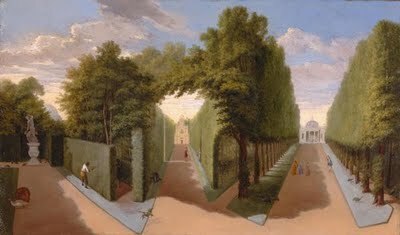 At right is an 18th century view of the allees of Chiswick’s gardens with the Bagnio as the focal point of the central walkway. At the end of the right path is a small temple Lord Burlington built as another part of his formal garden, and still remains. It is pictured at the end of this post. Palladio’s La Rotunda (left) in the Veneto Region of Italy is a prime example of his work, a direct influence on Burlington, Kent, Campbell and many others who soon championed their own versions of Palladianism. The popularity of the style spread quickly through artistic and wealthy aristocratic circles in Britain. 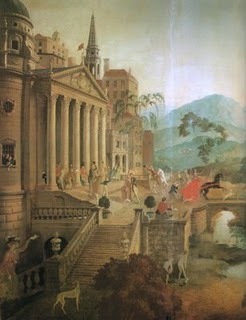 in 1788 leaving the villa, part of the connecting link, and the gardens. 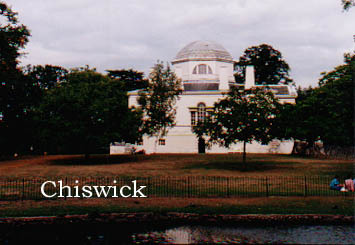 The villa now known as Chiswick House was used as an office, gallery and rooms for entertaining. In Part Two, we will explore the actual building and its garden. Another house greatly influenced by Palladio and perhaps by Burlington is Thomas Jefferson’s Monticello in Virginia. 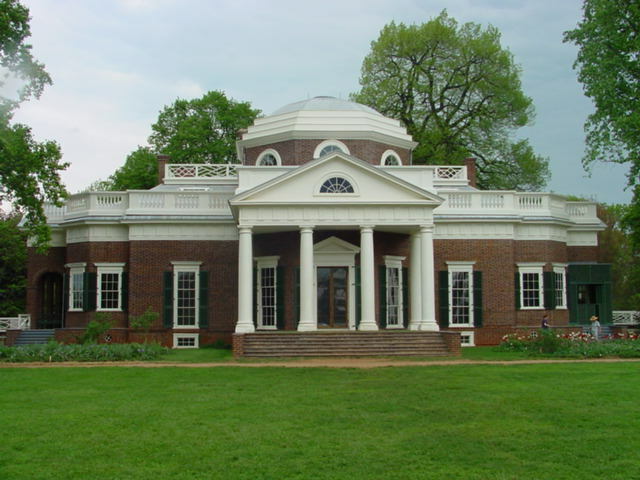 Jefferson was also a gentleman architect and there is no doubt that his tastes and those of the American founding fathers resembled the tastes of those British aristocrats who also loved Palladianism and the neoclassical styles of the late 18th and early 19th centuries. 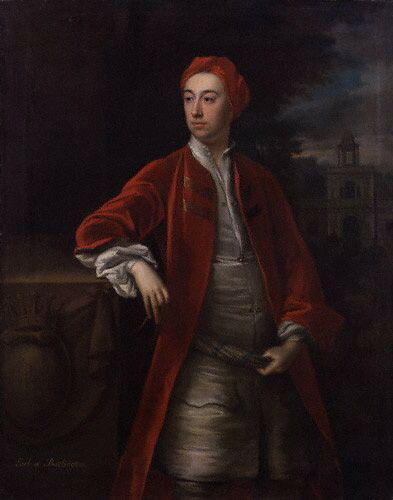 The 3rd Earl of Burlington married Lady Dorothy Savile, daughter of the 2nd Marquess of Halifax, an heiress who brought additional estates to the family. She became a lady in waiting to Caroline of Anspach, wife of George II. Burlington held many important government posts before resigning all offices in 1732 over his oppositions to an Excise Bill. From then on, he occupied himself with improving his properties, scholarship and promoting the arts. 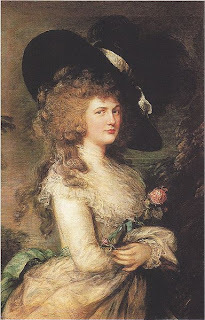 He had no sons; his only surviving daughter Charlotte (1731-1754) inherited his properties; she was the Marchioness of Hartington, married to the eventual 4th Duke of Devonshire. 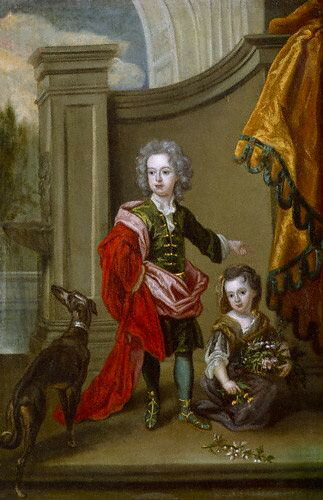 Note that Charlotte had a very short life; her son William Cavendish (1748-1811), above, was born when she was a mere 17. 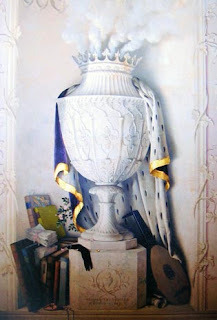 But through her the possession of Lord Burlington passed into the hands of the Cavendish/Devonshire family. The Cavendish family frequently stayed and entertained at Chiswick. Georgiana, Duchess of Devonshire, wife of the 5th Duke, often entertained at Chiswick, particularly her friends in Whig politics. In the 1860’s, the Cavendish/Devonshire family rented the villa to a number of prominent persons, but by the early 19th century, it had become an asylum, then a fire station. Eventually, it was sold to Middlesex County and taken over by a trust to preserve the house and gardens. In Part Two, we will explore the specific design of Chiswick House, which incidentally is prounced Chis-ick, with a silent W.
For more information on Chiswick, click here.